Dortmund - Borussia Dortmund's fearsome attack will be relishing the prospect of taking on cellar-dwellers FC Augsburg when the two UEFA Europa League participants meet on Sunday afternoon (kick-off 15:30 CET/14:30 GMT). Augsburg have already lost six Bundesliga games in 2015/16 - more than ever before at this stage of a season.Only FC Bayern München have scored more goals (29) than Dortmund (24) so far this term.These teams last met in February 2015. 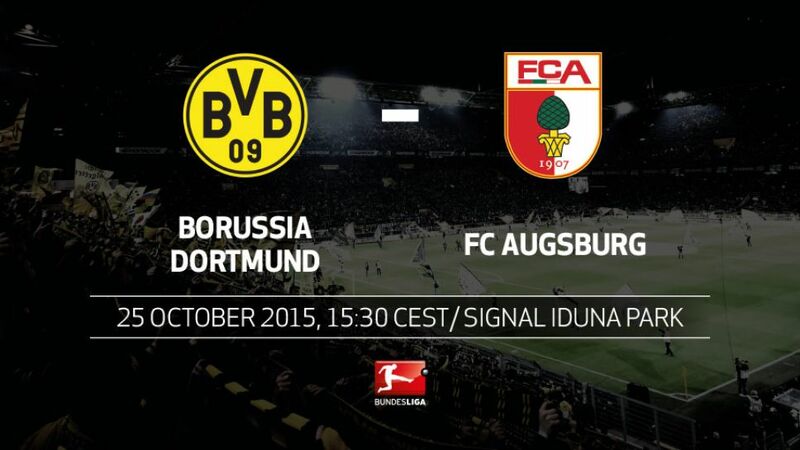 Since then Dortmund have earned more than twice as many points as Augsburg (50 to 21).On average FCA need 18 shots to score a goal so far this season.In 2014/15, Augsburg's top scorers were Raul Bobadilla and Tobias Werner, who netted a combined total of 18 goals. This term, however, neither has got off the mark yet.Dortmund's current points tally would have been enough to be top of the table in ten past seasons.Pierre-Emerick Aubameyang failed to score in a 2015/16 Bundesliga game for the first time on Matchday 9. However, he did provide two assists in a 2-0 victory over 1. FSV Mainz 05.